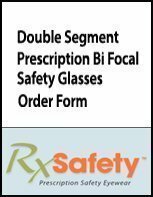 Double Segment Prescription Bifocal Safety Glasses. Double Segment Prescription Bifocals is better known in the optical business as Double D bifocals are a very special safety lens made for people who really need them. 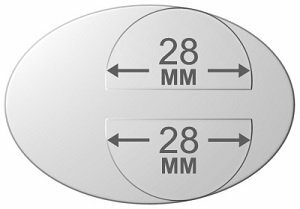 The bifocal segment on a lens looks like the capital letter ‘ D ‘ and there is one at the top and one at the bottom of these lenses. Electricians, mechanics, plumbers and many other tradespeople often have to work in confined spaces where they need to see up close, above and below them without moving their heads. So with the segments at the top and bottom, they only need to glance up or down to get the full bifocal power. When ordering Double ‘D’s you treat them the same way as a standard lined bifocal. You need the prescription, ADD power and pupil distance. The segments are a fixed distance of14 mm apart. So for the segment height, you only need to measure to the bottom eyelid while wearing the glasses. 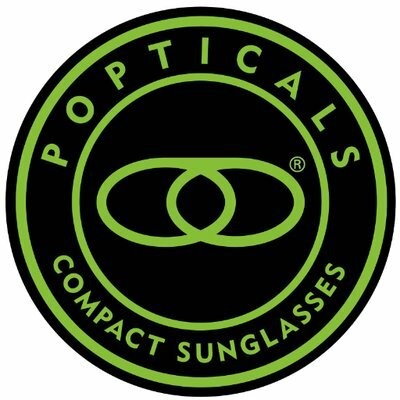 As with standard bifocals, you can also set to a standard of 3 mm below the center of the lens. 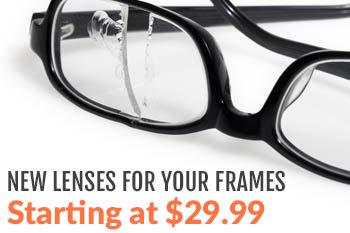 Click Here to view the Double Segment Prescription Bifocal Safety Glasses.